Secrets of the Forest takes players to a soothing and charming place where imagination is encouraged and dreams are realized. While in this enchanting world they play with mystical characters and win big with Tumbling Reels and Connected Lines. Sometimes, a forest in the dead of night can be downright scary. It’s dark, there are strange noises, and who knows what’s lurking. But in this forest of fun, players are guaranteed to have a good time. Hoot Loot is a casino classic for its endearing characters and its ground-breaking features: the Hoot Line and the Hoo’s Safe Bonus. Need a little good fortune? Want to find the luckiest charm of them all? Look no further than The Amulet and the Charm. This High 5 Games hit takes players into a world of fantasy, where mysterious characters seek the precious amulet and all the wealth that comes with it. It’s celebrated for its great music, dramatic storytelling, and fun features like Scatter Bucks and Stacked Wilds. The hope of spring. The power of summer. The beauty of autumn. The chill of winter. The seasons resonate with people, as does the classic work by the great Italian composer Antonio Vivaldi. In this homage to the legendary musician from three centuries ago, H5G has created a striking new hit complete with Super Stacks and the Pick-A-Super-Stack feature. She roams the countryside, her supernatural wagon illuminating a path for her band of devoted followers. Villages far and wide know her by name. Get on the good side of the gypsy, and anything may be granted to you – wealth, status, even knowledge of the future. Get on her bad side, and you’ll soon discover the true extent of her powers. 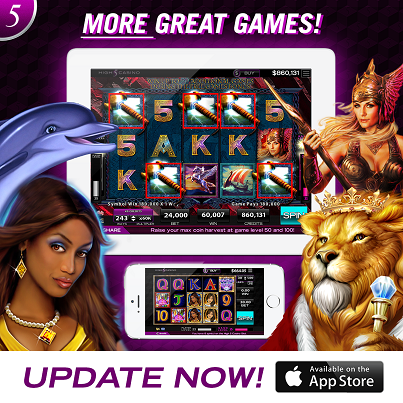 Players love Gypsy because they score major jackpots with Split Symbols. What’s your favorite High 5 Casino game of all-time? Let us know in the comments below! Sparkling like emeralds from the shadows, her eyes will captivate you. Set forth on an adventure to find true love, hidden treasures… and unlock the secret of her Island Eyes. Island Eyes features Super Stacks, which lead to spectacular wins. Plus, you can pretend like you’re vacationing on a beautiful, warm island! Wherever you are currently, you’d probably rather be on an island. If you’re currently reading this from an island, I hate you. Ocean’s Glory is a magical escape into the deep blue sea. Leave land behind and head out on an aquatic adventure that will leave you breathless after big wins with Super Symbols. Frolicking dolphins, magnificent whales, and other mesmerizing sea creatures will guide you as you explore the untold wonders waiting for you in the depths of the ocean – go find them! And try to avoid those annoying stinging jellyfish. Summer is definitely the best time to embark on an odyssey; you don’t want to be tripping around the world in bad weather (just ask Odysseus). 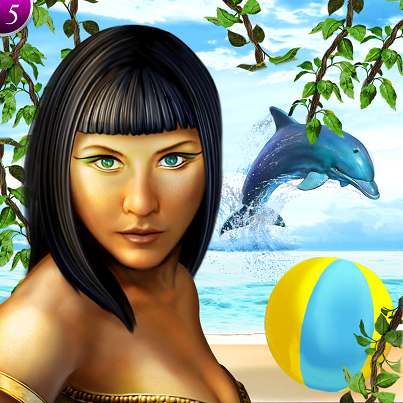 Golden Odyssey lets you experience an epic tale of loyalty and temptation in the wake of the Trojan War. Greek heroes, the gods of Mount Olympus, and the mythological Cyclops await you. Do you have the strength to complete your journey home, or will you be seduced ashore by the Sirens and their lovely songs? Come aboard the ship and find out. Even if you don’t have what it takes, you can still win big with Tumbling Reels, Split Symbols, and Stacked Wilds. Let the good times rain down upon you. White Falls depicts a fascinating and serene atmosphere for players looking to escape the commotion of ordinary life. 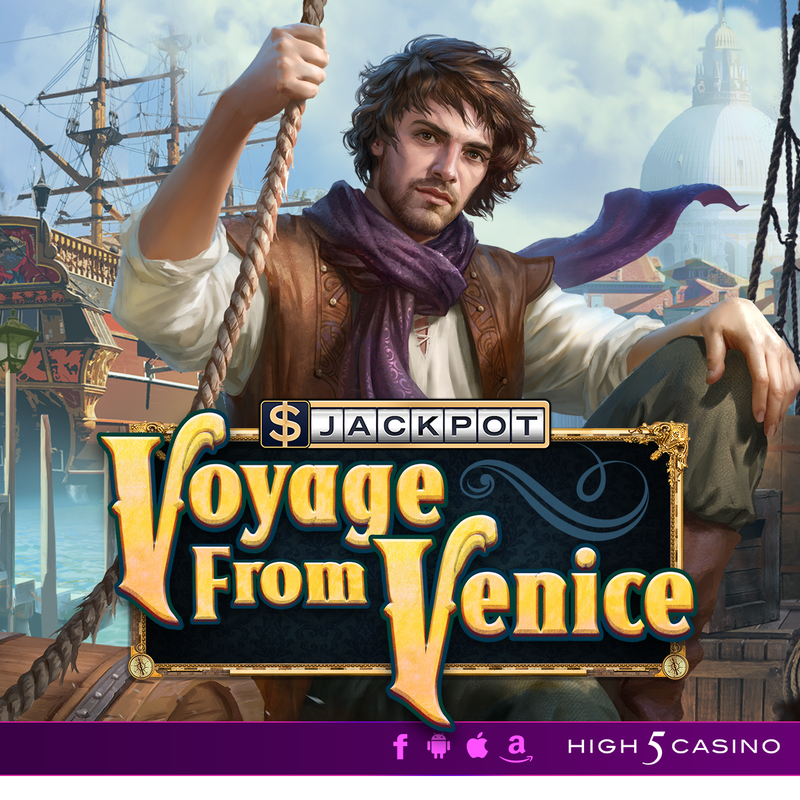 With a dazzling heroine, stunning graphics, and rewarding features like Stacked Wilds, Connected Lines, and Horizontal Expanding Wilds, you can definitely let loose and have fun with this slot. What games are you going to play at High 5 Casino today? Comment on this post and you could win a High 5 Games notebook to write your hopes and dreams of big wins in! Maybe we’ll even throw in an H5G pen or tote bag, too. Be sure to include your name and email in your comment so we can contact you if you win. Celebrate summer at High 5 Casino.